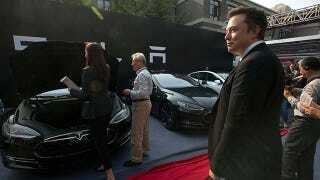 After another dismal sales month in China, Elon Musk is ready to fire the executives running the show in the country. According to Reuters, Tesla sold an abysmal 120 cars in China in January, far below what the automaker had targeted for the month. That reportedly prompted Musk to fire off an email saying that he would demote or can managers if the company is "not on a clear path to positive long-term cash flow". Tesla hasn't performed nearly as well as the company planned in China, which some have chalked up to consumers concerned about a lack of charging infrastructure. It's something Tesla has attempted to rectify with dozens of Supercharger stations installed in the country, but there are obviously bigger issues. And this wouldn't be the first time Tesla had a major executive shift in China.